I wanted to clarify something that I think, in light of recent events, is important. I ran a blog post and sent out a notice this week about postcards being available for my upcoming book, and stated if you were interested in receiving one, you send your mailing info to my assistant. She expressed concern that she wasn’t receiving full mailing address information. (Such as lack of a name to go with the address). I appreciate everyone’s wariness, and want to assure you of several things. 1). When I run a contest or send out postcards, here’s what happens. I give you the email of my assistant. She lives in a different state from me, so in the case of postcards, you send your information to her directly. I don’t see your name and address at all unless you’ve emailed it to me directly. If such is the case, as soon as I forward your information to my assistant, I immediately delete it from my computer. 2). Once my assistant sends either a prize or post card to you, she immediately deletes your information from her computer. We will never, ever, save your information. It’s not compiled in a database, it’s not saved in a mailing list. It’s used for the purpose it’s intended, and then immediately and forever deleted. Straddling the Line ARC Winners! Thanks to everyone who entered the contest for the ARC of STRADDLING THE LINE! Winners have been notified by email. They have 5 days to reply, or their win is forfeited and new winners will be chosen. STRADDLING THE LINE ARC Giveaway! STRADDLING THE LINE, Book 8 in the Play by Play series, releases July 1st (woo!). Haven Briscoe has finally the landed a dream job as a sportscaster for a major network. But she hasn’t been able to move past the recent death of her beloved father, and it’s affecting her career. A plum assignment following the daily life of sports superstar Trevor Shay might be just the inspiration she needs. Trevor will do anything to spark life back into Haven, including letting her into every aspect of his world. The chemistry between them flames higher than one of Trevor’s home runs, and faster than one of his dashes to the end zone. But as they grow closer, Haven stumbles onto Trevor’s closely guarded secret, one he’s hidden his entire life. And despite his protests, now it’s Haven’s turn to put everything on hold to help Trevor. Will he let her in, and trust her with a secret that could blow his professional and personal world apart? I have a few ARCs available, so let’s do a giveaway! I’ll choose winners on Monday, June 2nd. Men who wear glasses are hot. 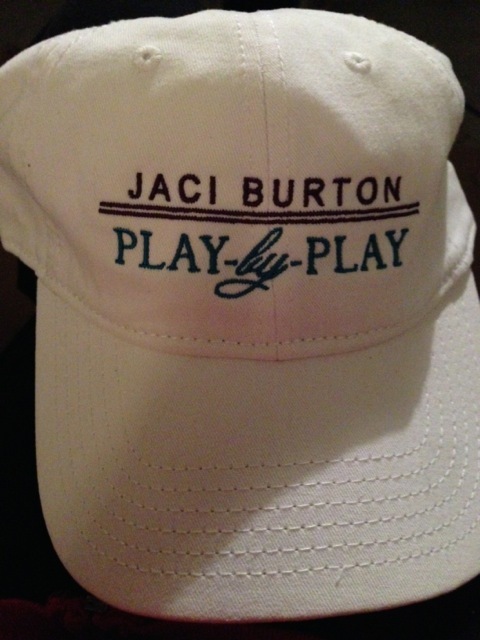 Thanks to everyone who entered to win one of my hats! Congrats, winners! All winners will be contacted via email. Winners have 7 days to respond to the email with their mailing info, or forfeit their prize and new winners will be chosen. I’m back from the RT Convention! I had a great time, met wonderful people and saw some of my favorite people. And I ate a lot of food–really amazing food. 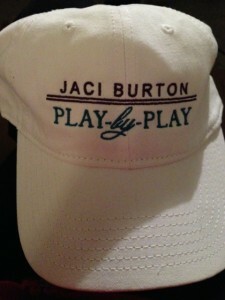 Since I know many of you couldn’t attend, I thought I’d give away some hats here on the blog. If you’d like to enter the drawing for one, leave a comment and I’ll draw winners on Thursday. As the chopper pilot for the elite Lifeline search-and-rescue team, Erin Tate is used to handling power. Calling the shots in the air is one thing—in the bedroom it leaves her cold. What she wants is a man strong enough to strip away her control. Paramedic Timothy Dextor has a wild card reputation, and the dark appetites to prove it. The only thing missing is a woman he can share them with. Landing a position on the Lifeline squad puts his old flame back within reach. He already knows what Erin needs, and this time he’s not letting her go. But when an emergency throws Erin and Timothy together in unanticipated ways, the stakes are raised—on the job and off. 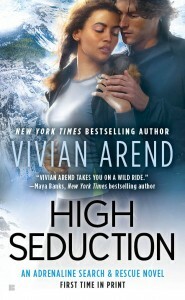 Now they’ll both discover the real meaning of control…and the risks that come from falling in love. Between them the water rippled as a family swam past, the small waves cresting over her skin and his where they lay side by side. A minor tremor, miles apart from the tsunami of passion that could flood over them soon if he had his way. Erin lifted her gaze to meet his. Stared silently for a good sixty seconds. Nothing but the gurgle of the pool gutters and low voices. She rolled toward him, increasing the contact points between them. His arm rested between her breasts, her knee slightly over his thigh, and he tensed. She was solid muscle and soft skin. A combination of strength and feminine beauty that he could hardly wait to experience all over again. She trickled her fingers over his chest and he held his breath, fascinated by this new side of her. Bolder, more determined. He loved it, and wondered how long she’d hold that stance. “I have talents in other areas as well,” he teased. 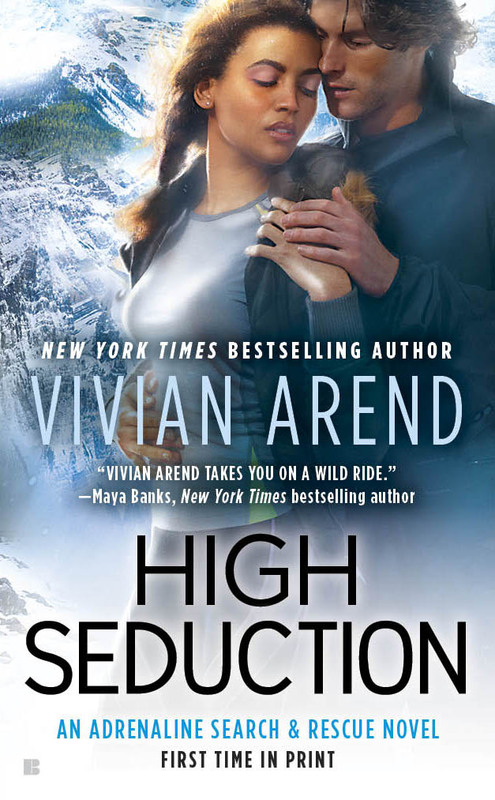 Vivian’s generously offering an ARC giveaway of HIGH SEDUCTION, so comment here for a chance to win. I’ll draw a winner on Thursday. Open to international entries. Must be 18 years of age or older to enter. Void where prohibited. You know the drill.